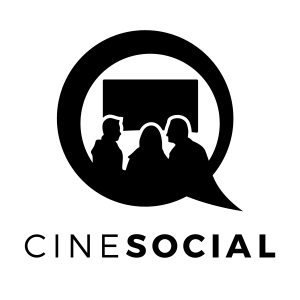 Maysa Moncao reports back after seeing Joshua Oppenheimer’s The Look Of Silence. Check out her LinkedIn profile and Facebook page for more and contact details. Following its premiere in Venice last September and after some significant screenings in Indonesia, The Look Of Silence arrives in the UK in great style. It opened a new house in the West End and the Q&A at the end of the movie was transmitted live via satellite to 60 movie theatres across the UK and Ireland. Though it is considered one of the halves of a tragedy, together with The Act Of Killing, the write and director of Silence Joshua Oppenheimer told me that it does not matter which movie you watch first. For me, obviously this was a relief, because the first half is a gap in my repertoire. To cut the story short, Oppenheimer and his crew have promoted several meetings between Adi Rukun, who was born after his brother Ramli was killed during the Indonesian/Komando genocide in the mid 1960’s, and the killers still in power in Asia. Because The Act Of Killing had not been released yet in Indonesia, the crew could have access to the killers intimately, but of course what is obvious when the ending credits roll is the high number of crew members who preferred to be treated as “anonymous”. Somehow in Indonesia members of the Komando who killed one million people accused of “communism” are still in power. They belong to paramilitary organisations, or are in secondary positions in the government, or are rich oligarchic ‘fat’ men. They are considered national heroes. They have the strange ability to justify their crimes due to a capacity to lie to themselves. Most of them are not psycopaths; they were neighbours of the assassinated men caught into an insane political wave to “clean the country”. Blood was washed away in the river down the valley. A river called Snake. Another interesting hidden image, don’t you agree? In front of the camera, Adi addresses the probable killers of his brother, with whom he could not co-exist, as an optician. So the lens Adi tries on the killer’s eyes are a metaphor for seeing the truth but also a good excuse to turn assassins into momentaneous vulnerable creatures whilst been “shot” by Oppenheimer. If Adi’s purpose was to find regret, he failed. Confession comes with pride, not guilt. Justified by the masses, laughing and cynicism are strong and learnt responses (after all “the past is past”). The Look Of Silence is a product of our era, where the truth is told and we still do not know how to deal with it. It seems to me that in old times, truth was hidden and people were ashamed. Now everything gets bigger to a level of unbelievable exposure, and we are getting used to it, as if it was normal. “See with your own eyes, I still am capable to deceive you, even when I am caught.” That line is also the moto of another documentary, filmed by Errol Morris. The Unknown Known is a long interview with Donald Rumsfeld, the former American Secretary of Defense. He was in power during the Watergate days and until Bush and war in Iraq. Think of how many genocides we have witnessed under that period. Under the spontaneous reaction of the killers, The Look Of Silence promoted a heated debate amongst young Indonesians. I doubt it could change history, but the only way to recover from a trauma is to bring it into consciousness. Once the phase of justifications have ceased, “our country is like that because we suffered in the past”, there might be a chance to do it differently. Joshua Openheimer is an American Oscar-nominated filmmaker based in Copenhagen, Denmark. His previous movie, The Act Of Killing, was acclaimed a shocking masterpiece about the genocide in Indonesia.